Jenna Bush Hager paid tribute to her late "Gampy," former President George H.W. Bush, in a touching open letter — her grandfather’s favorite form of communication. In a pre-recorded segment, Hager Bush read her “love letter” to her grandfather on the "Today" show Monday, which was accompanied by a video tribute that included past interviews, never-before-seen family videos and memories shared by those who knew him best. “My grandfather wrote letters all his life, to his children, his wife, friends and even political rivals,” Bush Hager said. "He often wrote about love and family. For me, his words have always been a precious gift. All the more so now. It's my turn to write my love letter to my Gampy." 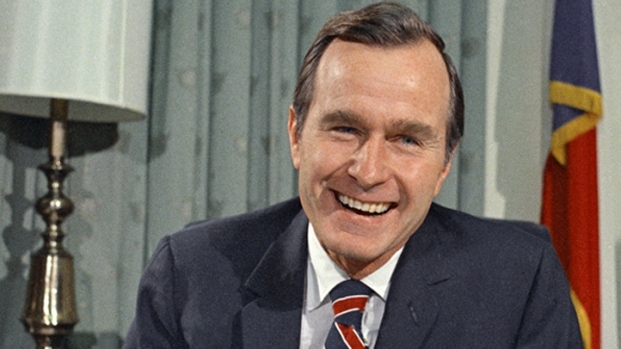 Family was the most important thing in Bush’s life, Hager Bush wrote in her letter, crediting her grandfather with always making each family member feel adored regardless of "whatever demands were placed on him in his professional life." Her twin sister Barbara Bush echoed that sentiment: "I’m sure that every one of his grandchildren thinks he loves them the most, he just always makes every person feel so special."